What word is a fun word, until you add one letter and it becomes a terrible word that no one wants to happen? Laughter: If you add a 'S' to the begging of laughter it becomes slaughter. 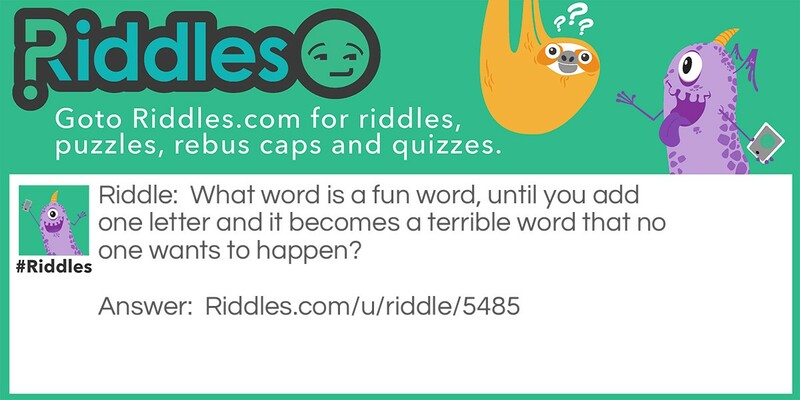 laughter Riddle Meme with riddle and answer page link.